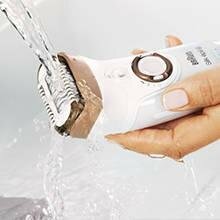 Removes more hair in one stroke. 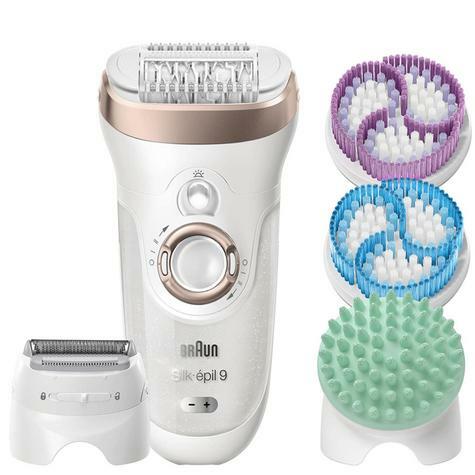 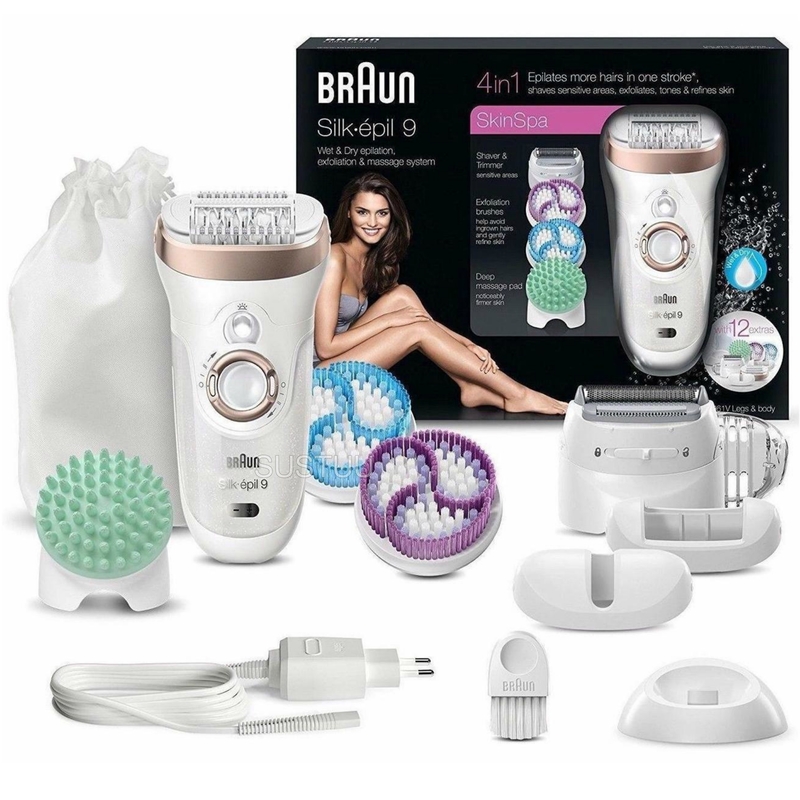 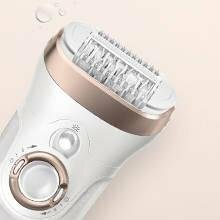 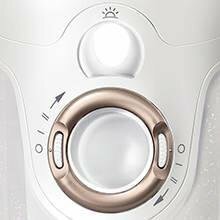 Featuring a 40 per cent wider head*, the Braun Silk-épil 9 SkinSpa epilator is the new standard in epilation. Braun’s MicroGrip Tweezer technology removes hair 4x shorter than wax can catch (0.5mm), to give you beautiful, salon-smooth results that last up to 4 weeks. 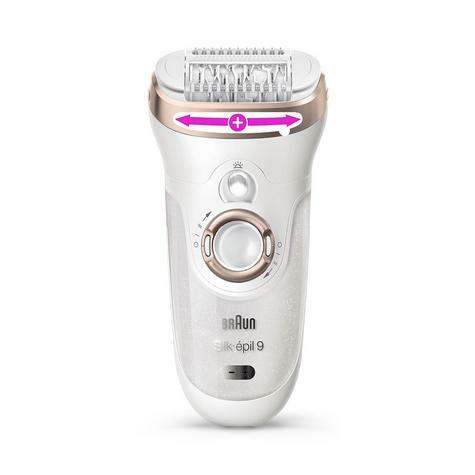 Helps Reduce Ingrown Hairs. Visibly Refines Skin Appearance. 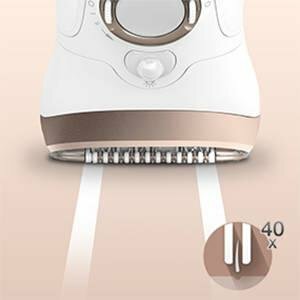 A shaver head and trimmer cap turn your epilator into a fully functioning electric shaver. 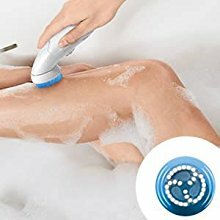 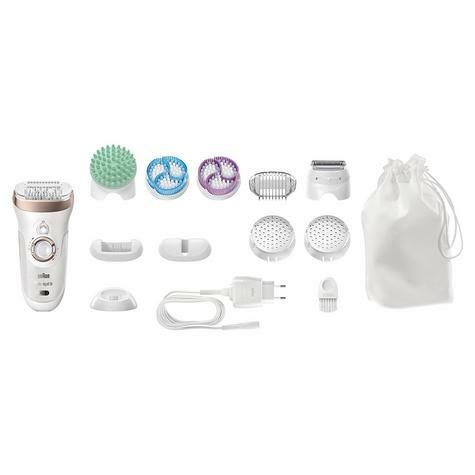 Shaver for bikini and sensitive areas.